the illustration — which is difficult to make heads or tails of; maybe we're looking at an aerial view of the cockpit? — is cryptic and details are slim, but the automaker said the concept blends performance and electrification, and it builds on the plan infiniti announced in january to introduce new vehicles with electrified powertrains starting in 2021. infiniti also promised that electrified vehicles will comprise more than half of the brand's global sales by 2025. 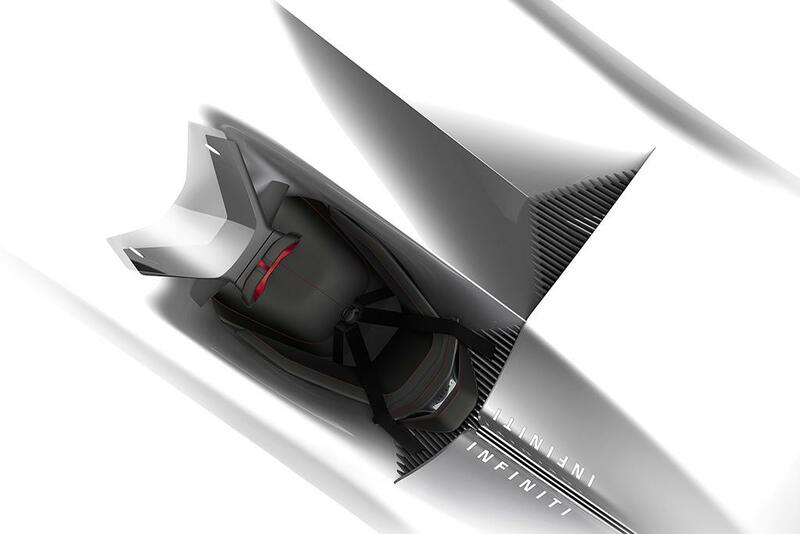 "our new concept provides clues to where the infiniti brand is heading," karim habib, infiniti executive design director, said in a statement. "for us, electrification means performance — our electrified cars will be powerful, efficient and a joy to drive, and the new concept is a physical representation of our electrified performance future." it's got a long way to go. while parent company nissan is no stranger to electric vehicles, starting with the leaf, infiniti's only hybrid vehicle, the qx60 hybrid, was canceled last year amid slow sales.